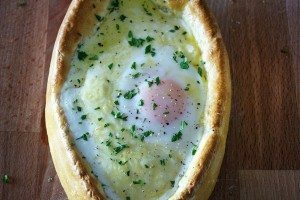 I have no idea where this recipe came from. It wasn’t passed down by an older generation. Not sure if it was suggested by a friend, or if it was discovered in a laissez faire session on the interwebz. As far as it’s origination, I’m truly at a loss. As a Southern girl, I thought the only way to cook green beans was with some kind of pork product or doused with cream of mushroom and topped with fried onions. I was pretty sure Texas law forbade alternatives. And yes, salty pork pairs incredibly well with green beans but I was happy to learn in my early 20s that there were more options. Tempura. Amandine. Garlic-infused. 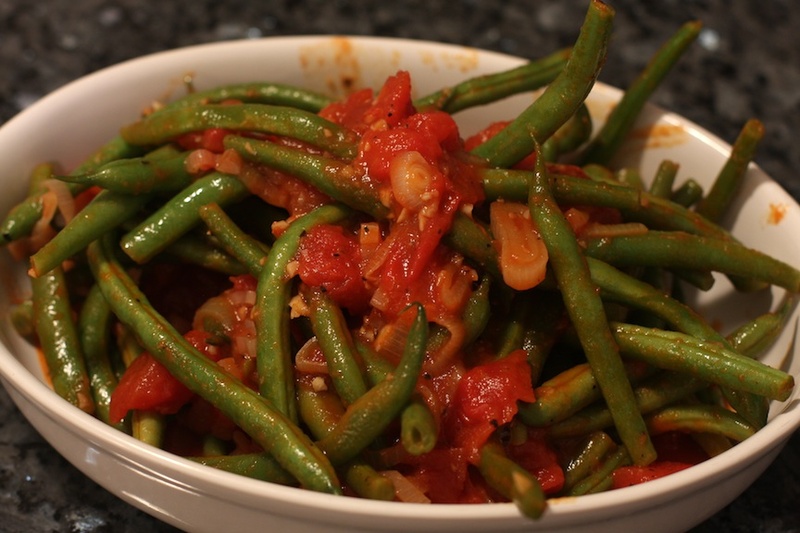 And the star for today, green beans with shallot and tomato, one of my all-time favorite dishes. 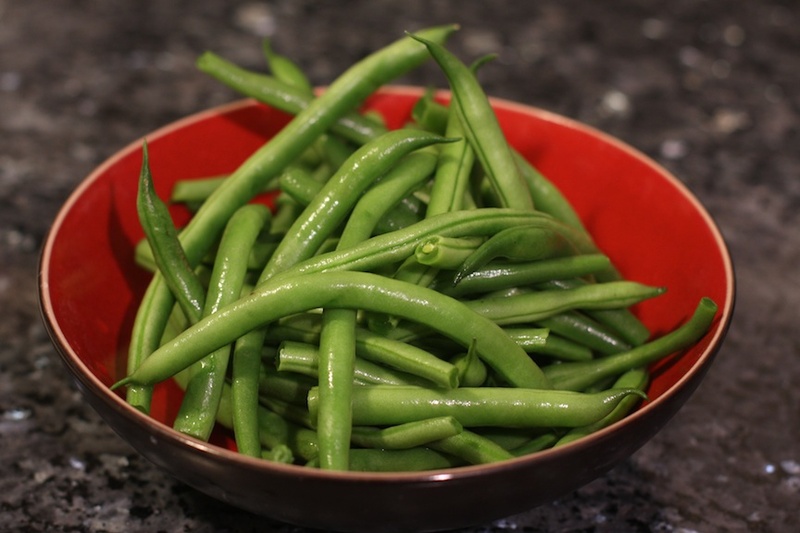 Fresh green beans are simmered with white wine, shallot and tomato creating a surprisingly simple and rich (yet healthy) side dish. So whoever you are out there that gave me this recipe, thank you a gazillion times over. This one has taken up residence in my stockpile. Heat oil and butter on medium heat until butter is melted. Add shallots and cook for 3m until it begins to soften. Add garlic and cook for 1m. 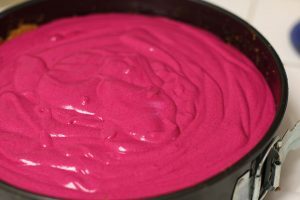 Add the wine and raise the heat to medium-high until most of the wine has evaporated, leaving around 1/3 c left in the pan. 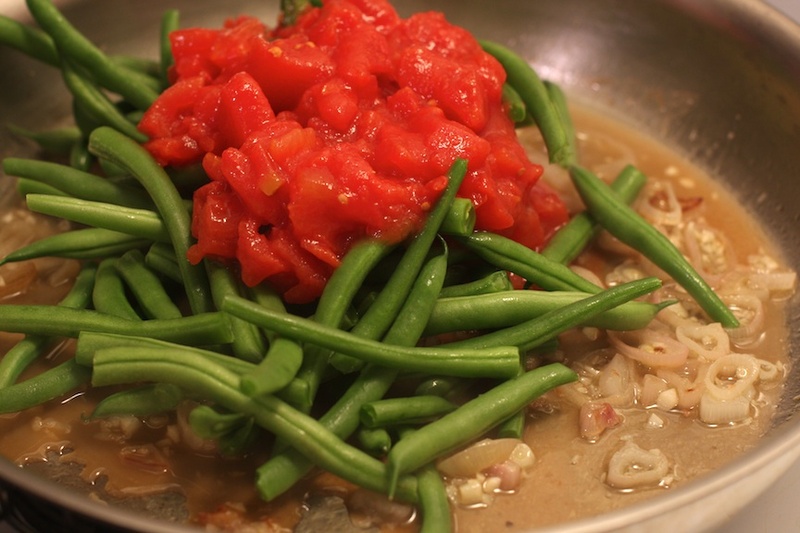 Add green beans and tomatoes, then reduce heat to low. Let simmer, stirring occasionally for 8-10m until green beans are tender but still crisp. If the liquid appears to be disappearing too quickly, add more wine and/or lower the heat to slow evaporation. Serve! This dish is also pretty tasty straight out of the fridge the next day, which means it could also work as a cold salad to take to a barbecue. *Feel free to substitute chicken or vegetable stock for the white wine. I’m no alcohol dictator, just merely suggesting. How, pray tell, do you cook green beans?? @cookinghealthyformeWow, what a coincidence! Agreed, they are perfect this time of year, especially when you can pick them right off the stalk. 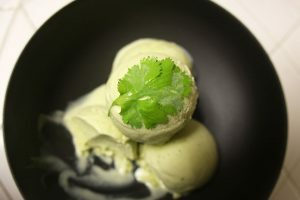 Thanks for sharing your recipe as well!